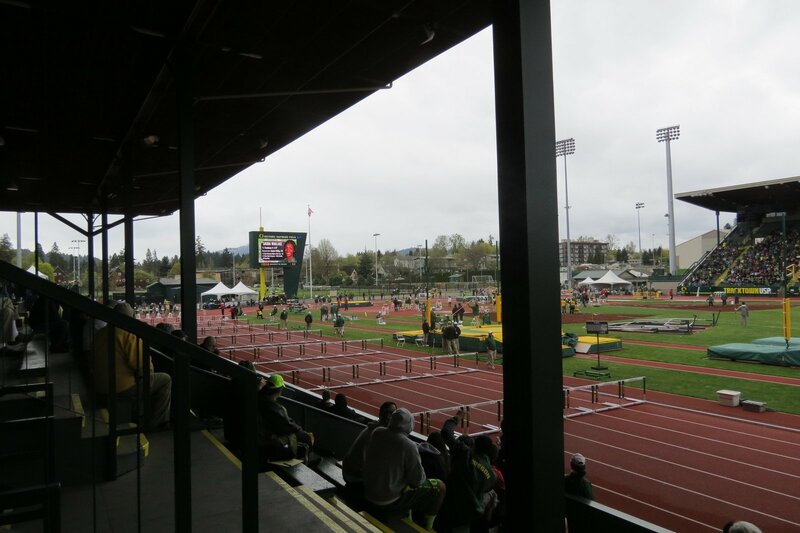 Though it's hard to believe, Hayward Field is one of barely a few top IAAF category track and field stadiums across the US. Ironically, even this ground was built for American football back in 1919. Without grass until 1937, its field was based on dirt and sawdust. While common in this part of the country, such surface was highly problematic after rainfall, compromising its quality. 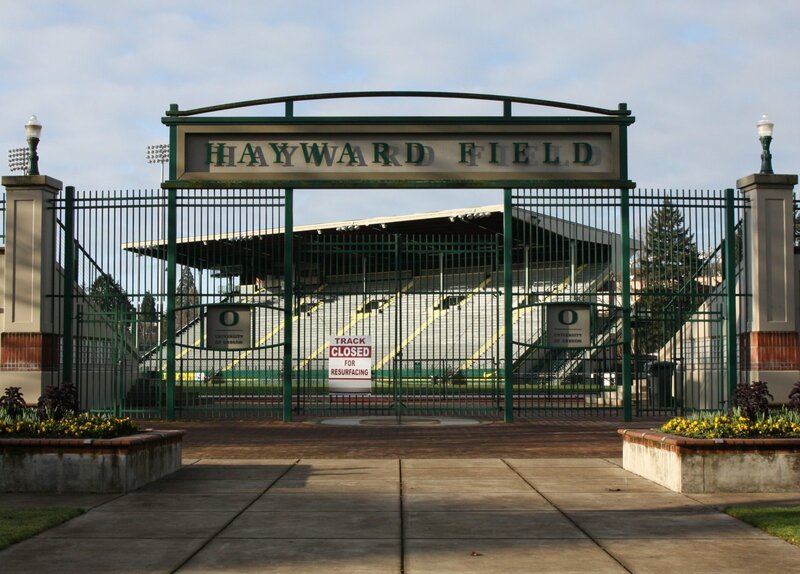 Though it was named after track coach Bill Hayward already in 1919, the stadium only received its first running track in 1921. This addition proved crucial especially when the football team outgrew the stadium and had to travel for crucial games to distant Portland. Even with new natural grass on the field (1937) it wasn't a satisfying football venue and eventually the footballers relocated to the majestic Autzen Stadium in 1967, leaving Hayward Field for athletics. Structurally wood was the most prevalent element, as one would expect from Oregon and Cascadia. The first wooden grandstand was built on the west side in 1925 and lasted for almost half a century, until being demolished in 1973 and replaced by a much stronger structure in 1975, this time mostly concrete. Wood is still present in the east stand, though. The stadium's picturesque layout was completed with northern additions. In 1990 the north-western Bowerman Building was added, housing key facilities. Then in 2004 a new main gate with charming stone and grass terracing was added in the north-east. For major events temporary terracing can expand the stadium's capacity almost twice. 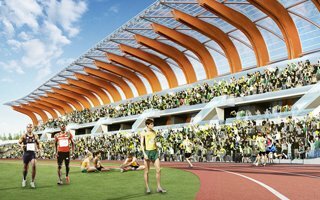 23.04.2018 New design: The best athletics stadium worldwide? 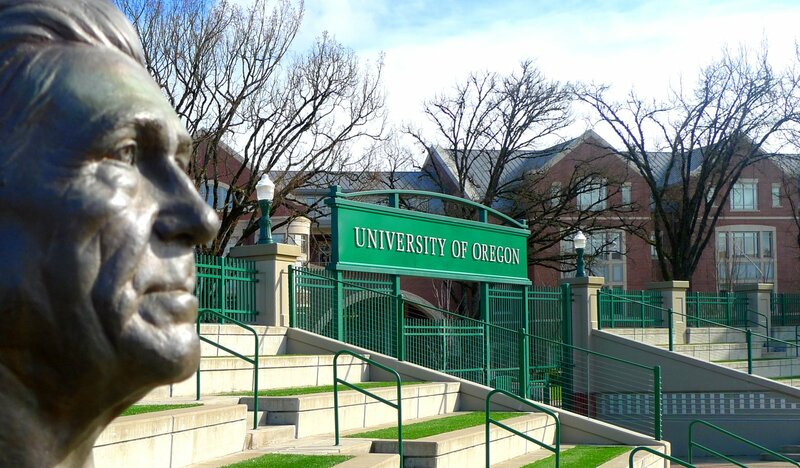 That might sound like a blusterous claim, but authorities at University of Oregon seem quite confident of what they're saying. Well, we'll see in 2020, won't we?